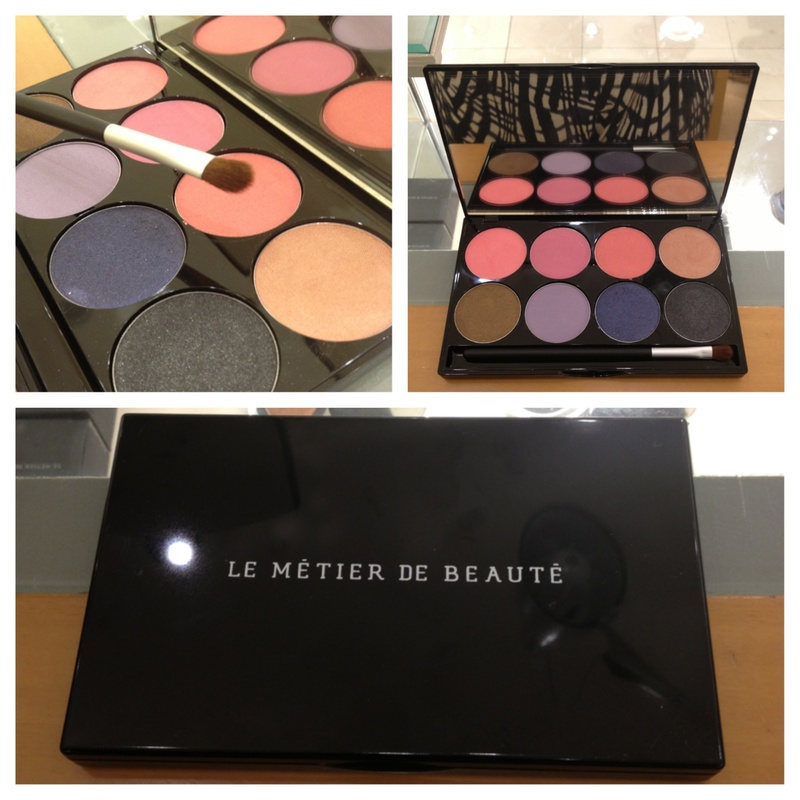 I’ve been noticing a trend going on with Le Métier de Beauté Palettes. I think Galore is the third or fourth 8-pan blush/eyeshadow palette they’ve released lately. 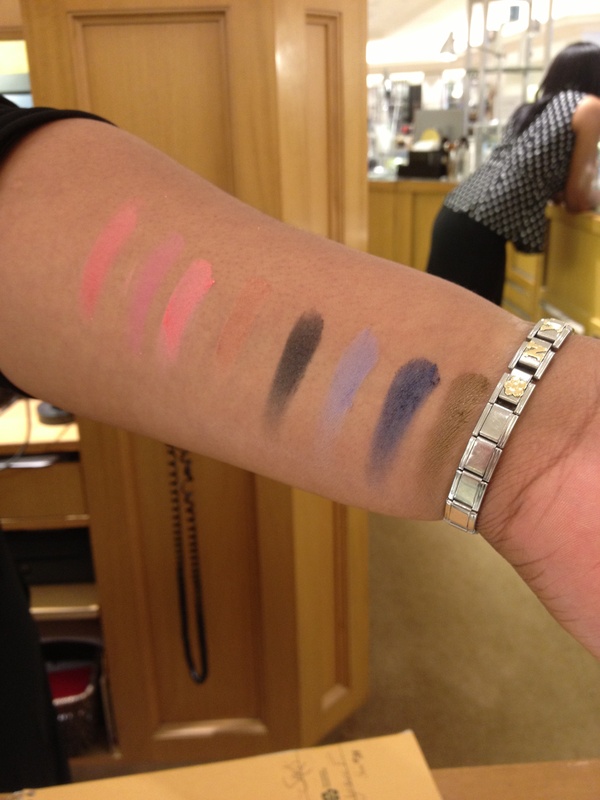 I received an email from Nyidera Edwards, an LMdB makeup artist at the Saks Fifth Avenue counter in Bala Cynwyd Pennsylvania, with some swatches. 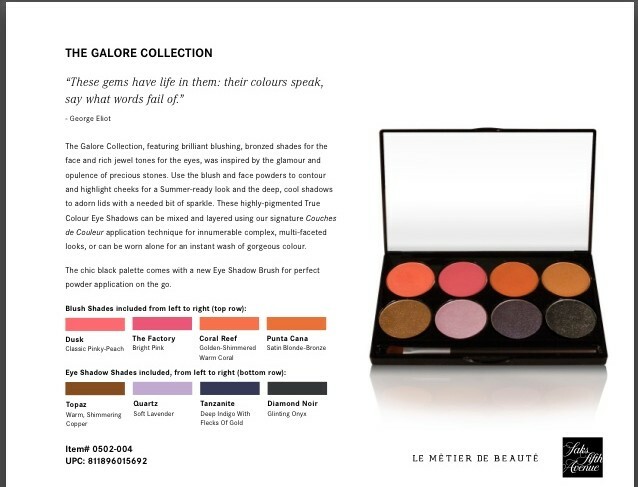 Designed by Mikey Castillo, the Director of Makeup at Le Métier de Beauté, Galore has 4 blush shades: Dusk (a classic pinky-peach), The Factory (a bright pink), Coral Reef (a golden shimmered warm coral), and Punta Cana (a satin blonde bronze). It also has 4 eyeshadow shades: Topaz (warm shimmering copper), Quartz (soft lavender), Tanzanite (deep indigo with flecks of gold), and Diamond Noir (glinting onyx). This post is not sponsored. Le Métier de Beauté is cruelty-free. $125… ouch! I guess if you consider the value of each product, it all adds up nicely. I’m strangely drawn to Tanzanite. It’s actually a good price (lol, I know) for LMdB products, since a quad is usually $95. Here, you get 4 blushes for just a bit more. I sound like a sales lady, but I can’t help it when I am in love with a brand!